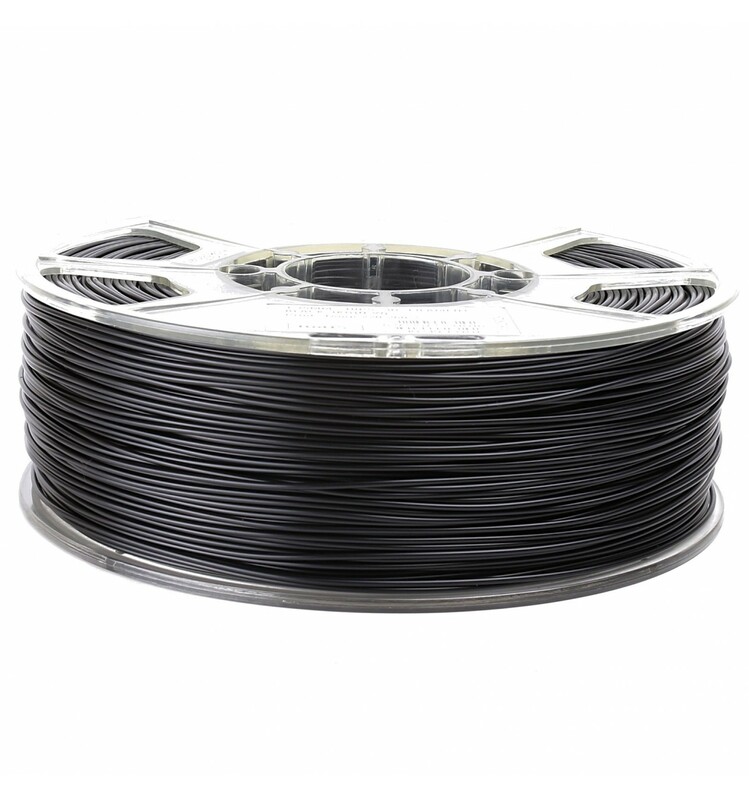 These 1kg rolls of Black eSUN HIPS 1.75mm filament are easy to print with, warp-resistant, and can even be used as dissolvable support material. These 1kg rolls of Black eSUN HIPS 1.75mm filament are made from a very unique plastic known as High Impact Polystyrene. Despite the common perception of polystyrene, this material is infused with strong impact-resistant properties, making it both an easy and durable material to print with. 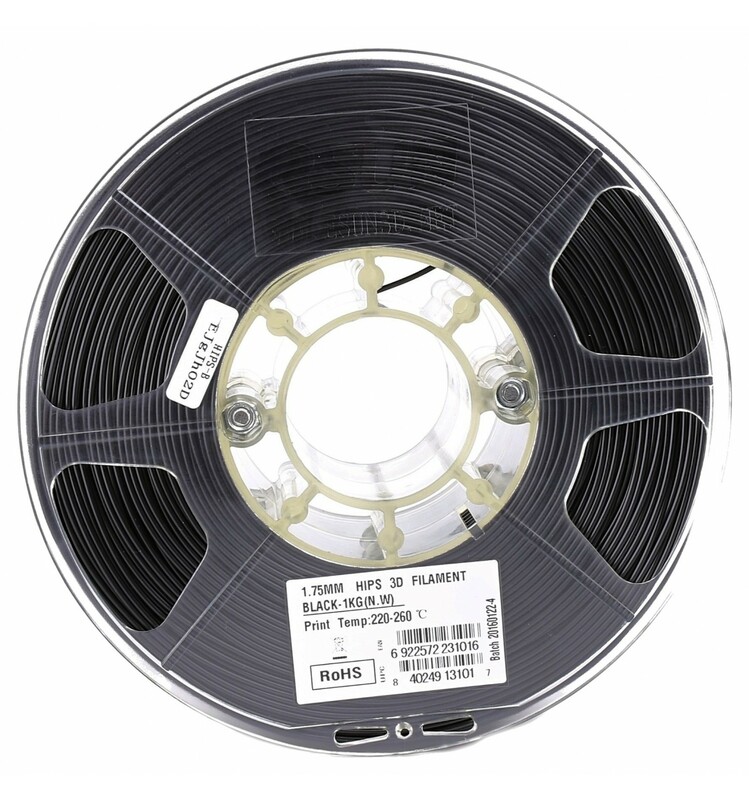 Some of the main features of this plastic is that it is highly resistant to impact, as well as resistant to warping during the printing process, while being dissolvable with Limonene solvent. These features make it great for printing parts or objects that may be exposed to high impact, but also as dissolvable struts and supports for other materials during prints. 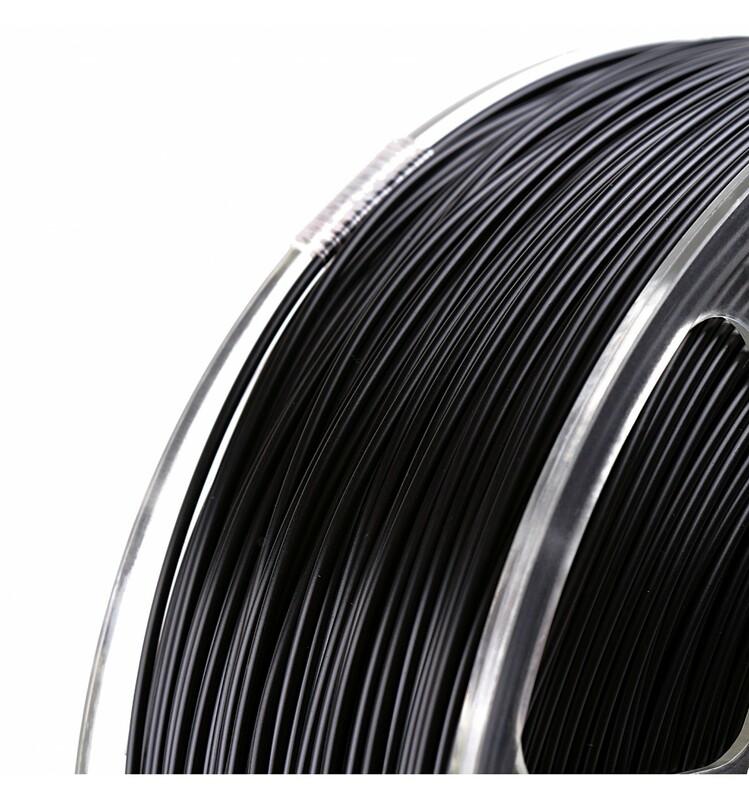 The reason why some 3D Makers choose HIPS Filament over ABS Filament is because of the reduced sagging, as it caters to some of common problems with overhangs. Additionally, it offers similar printing characteristics and temperature requirements as ABS, meaning that it’s easy to learn to print with if you are already experienced in ABS printing. 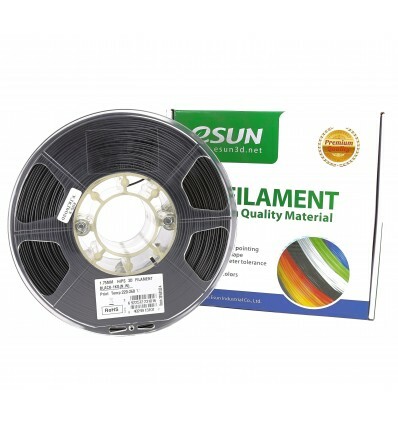 These 1kg rolls of 1.75mm Black HIPS Filament from eSUN are most commonly purchased as an alternative to ABS filament, as it offers many of the unique properties of ABS but with a few extra benefits. Not only is it warp-resistant, but can also be dissolved or finely polished with limonene solvent. This, in the hands of a veteran 3D Maker, is the ideal combination of features to produce amazing results. Additionally, HIPS is an excellent choice for dual-extruder setups to build struts and supports for plastics that are prone to sagging on overhangs, which can then be easily removed without damaging the prints which they are supporting. The similar temperature requirements also mean that you don’t even need to change the settings if you are printing this alongside ABS, as they share very similar printing characteristics and requirements.